You can't see the whole arch as you are walking up to it, just one side. I had visions of an arch with a big chunk missing out of the center, but that was not the case. 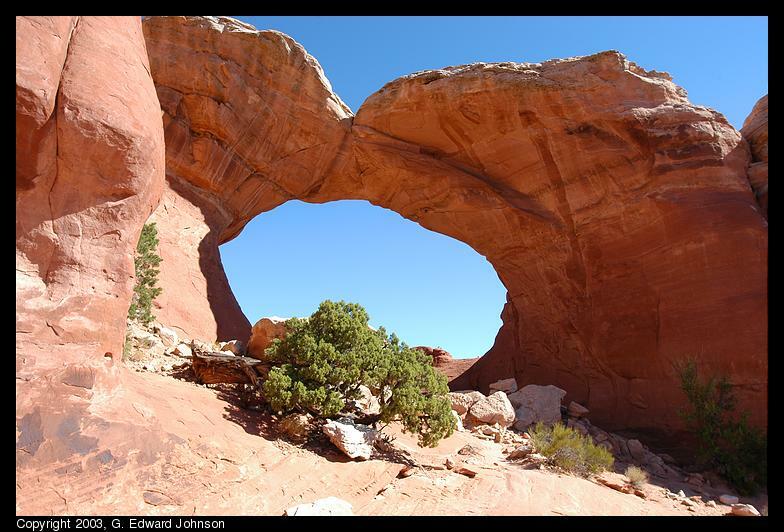 If you look at the very middle of the arch, you can see a crack running through the arch, giving it the name.